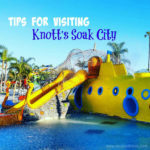 Tip For Visiting Knott’s Soak City OC Water Park! 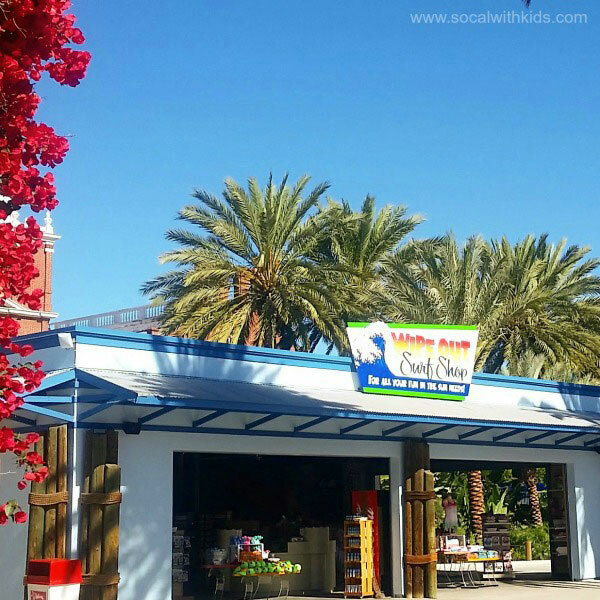 Tips For Visiting Knott’s Soak City OC! 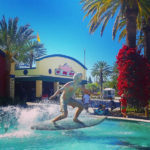 Knott’s Soak City OC is a water park in the Buena Park area of Orange County, California. 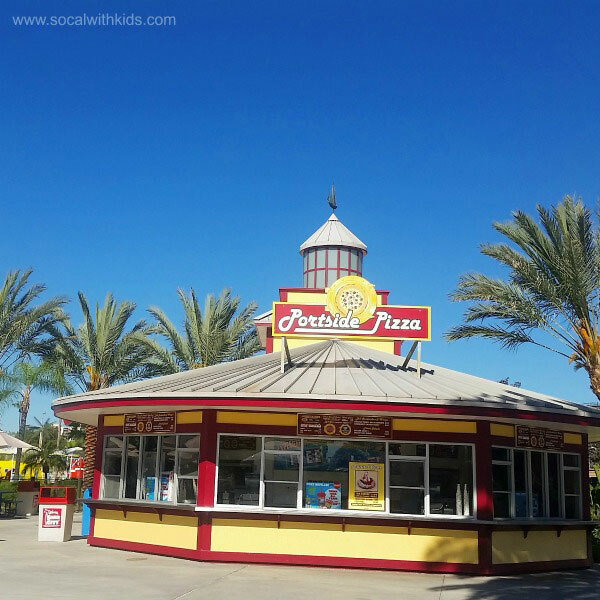 It’s located right across the street from Knott’s Berry Farm. 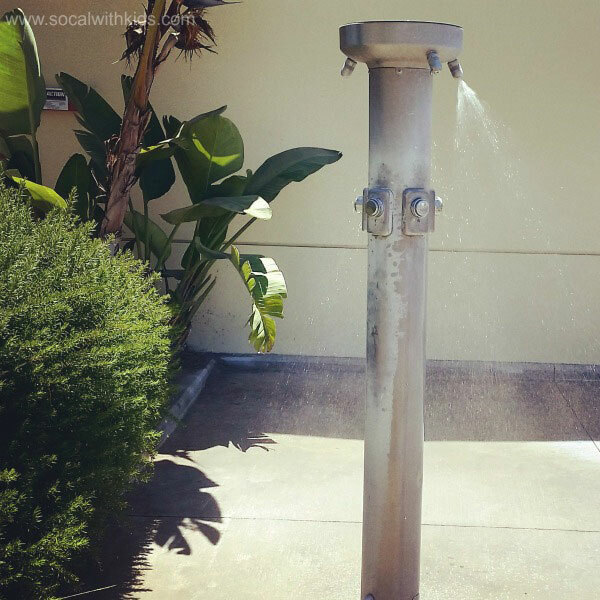 We’ve visited Soak City OC on our own, as well as for media events on several occasions. 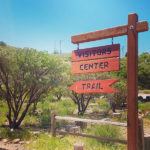 We’re excited to share some insider tips to help you plan your own visit. 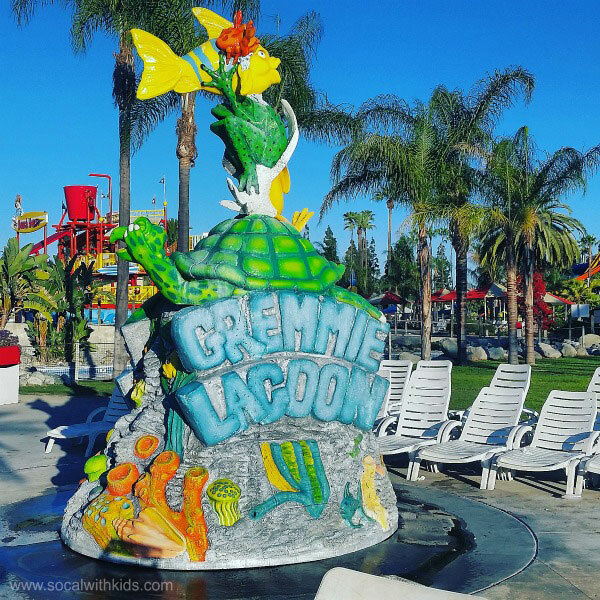 Soak City OC is spacious water park with attractions for all ages. 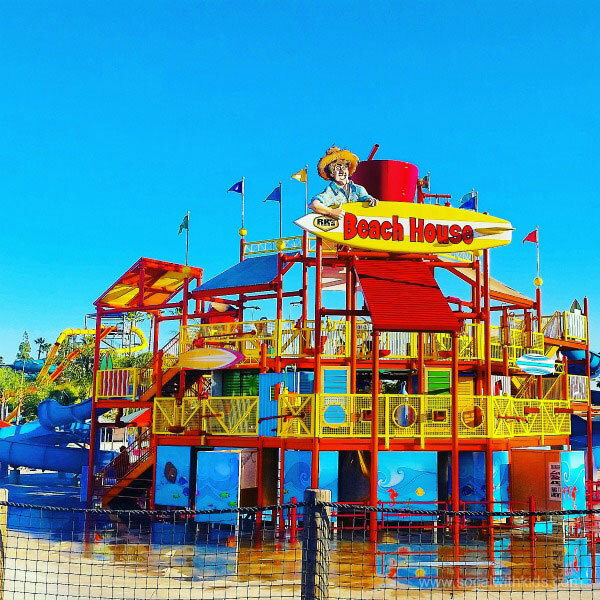 It has lots of water slides, a relaxing lazy river, huge tidal wave bay, fun water play area for the littles, and more. It’s a great place to cool off on a hot day! 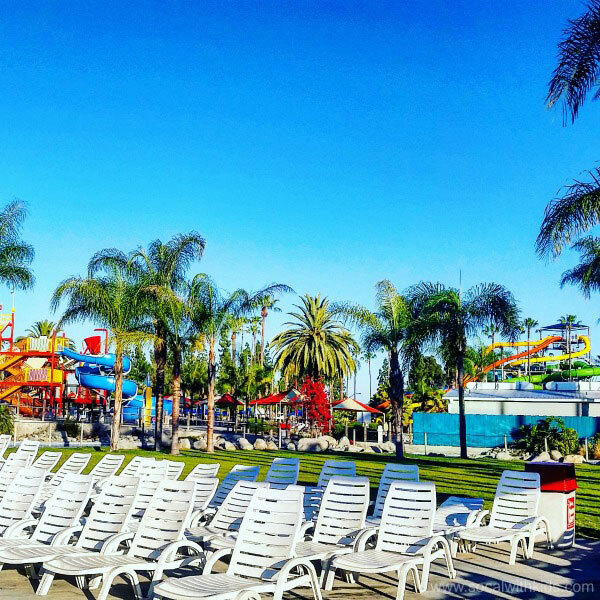 We highly suggest arriving to the water park early in the day. It’s a good idea to be in line, with tickets or annual passes in hand, and swim suits on prior to when Soak City OC opens. Seating is available on a first-come, first-served basis. It’s best to get there early to claim your space! 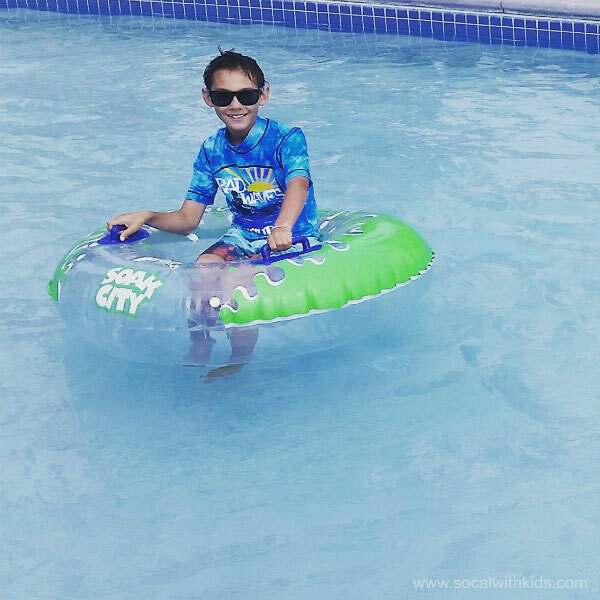 Inner tubes are available at each applicable attraction on a first-come first-served basis. You can also rent a tube for the day. Rentals do sometimes sell out, so it might be a good idea to purchase your rental early as well. Look for the rental booth inside near Tidal Wave Bay, inside Soak City OC. The attractions have different height requirements. Most of the slides require a minimum height of 48″. The Wedge, family raft ride, has a minimum requirement of 40″. 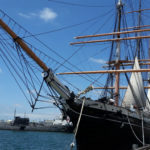 Click HERE for additional info on the attractions and their applicable requirements. 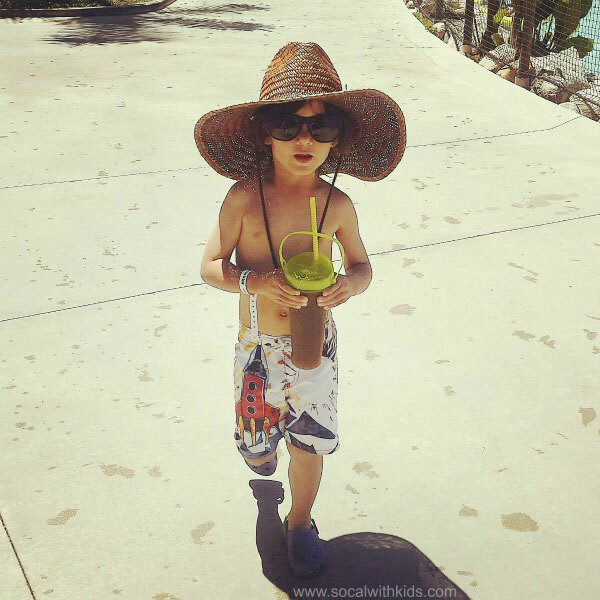 • Flip flops or water-friendly sandals. You’re allowed to bring umbrellas up to 6′ in width, and foldable beach chairs. If you forget something, try checking the Wipeout Surf Shop to see if the have what you need. • Don’t bring your own life jackets. 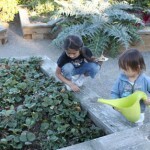 They have plenty to use for free! They even have an infant size. • Leave the personal float toys behind. They do not allow you to bring them into the water park. • Forget your radio. They have music playing throughout the water park. • Skip the snack bag. You’re allowed to bring bottled water inside, but no other consumable items. There is a changing area with bathrooms at the entry/exit of the water park. It’s easy to change here when you arrive, or when you’re ready to leave. As mentioned above, we suggest having your swimsuit on prior to entry so that you can make your way to find a lounge chair ASAP, but if that’s possible, it’s easy to change when you can after you enter. Bathrooms for both men and women are available at the entry/exit, and around the Park. 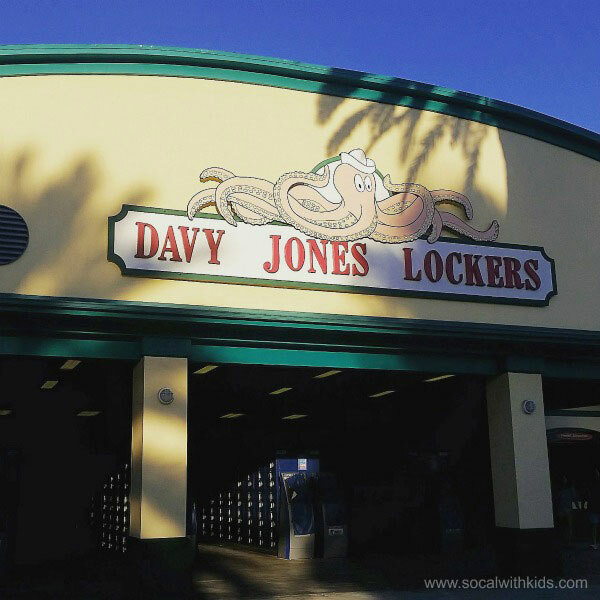 Locker rentals are available just past the changing area described above. Different size lockers are available to rent for the day. You can return to use the locker as much as you wish during your visit. 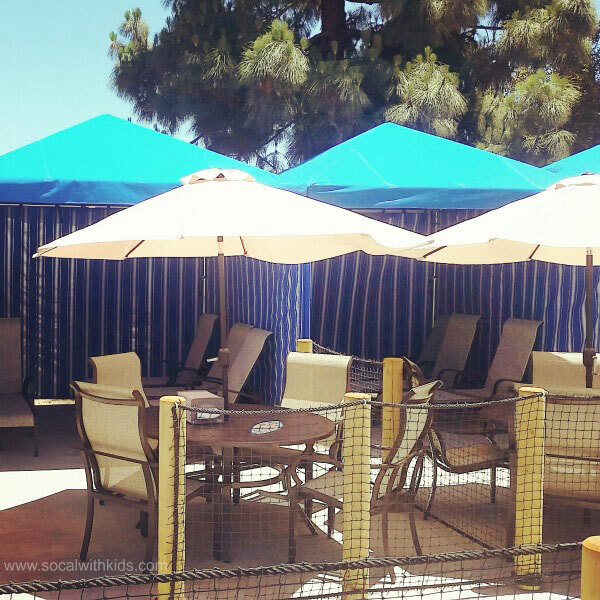 Cabanas are available for rent, and may be reserved online or (if available) inside the water park. We can tell you first hand that these go fast! Each standard size cabana accommodates up to 8 guests. Included with cabana rental is waiter/waitress service, chaise lounges, a table, 4 club chairs, and 4 inner tube rentals included. One of the awesome perks of a cabana is the endless ice water brought to the cabana by the wait service. 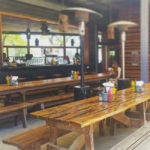 There are two dining locations within the water park, and lots of options within the restaurants. 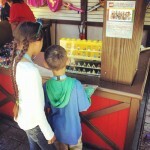 You’ll also find several drink stations around the park, and snack stands as well. 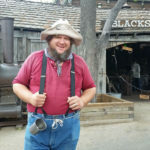 Knott’s Marketplace, which has both sit-down dining, as well as food to go, is within walking distance. A refillable souvenir cup may help you save on refills – even on Boysenberry Punch! Knott’s now has new cups each year. Buy a basic souvenir cup, and get FREE refills the day of purchase, and pay just $1 thereafter for the remainder of the year. Purchase an “All Season” souvenir cup and get free refills EACH VISIT! Either cup is good at BOTH Knott’s and Soak City. 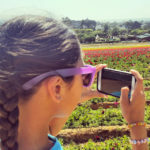 INSIDER TIP: Buy online and print before you visit for a discount! 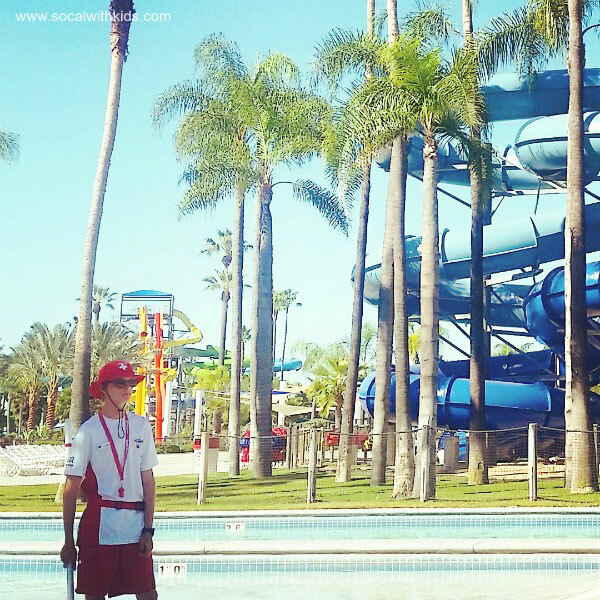 Knott’s Soak City OC has plenty of attentive lifeguards on duty. Showers are available to rinse off, throughout the day. 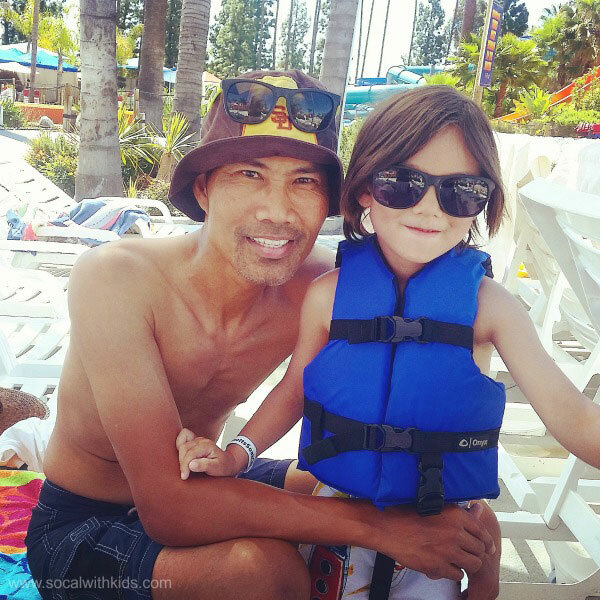 All in all we think that Knott’s Soak City OC is a super fun water park. Click HERE for more info about Knott’s Soak City OC, including hours, directions, and info about membership. 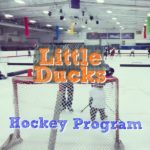 Perhaps we’ll see you there! P.S. 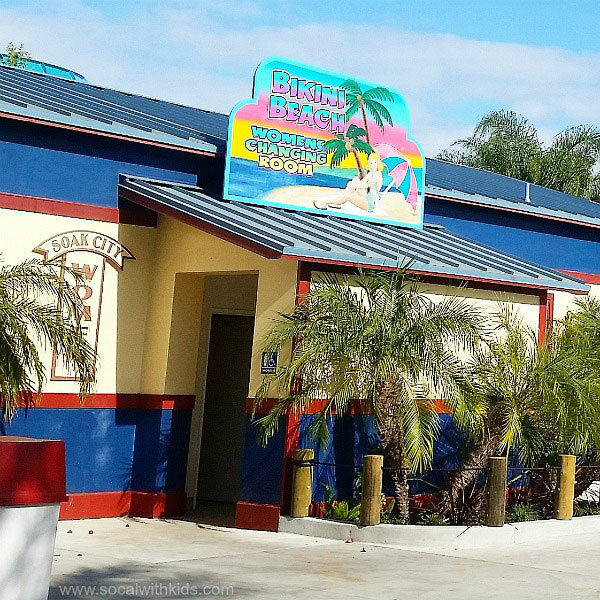 You’ll likely also enjoy our post about what’s new at Soak City in 2017, as well as our video below.